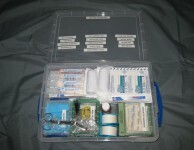 Medical Kit is assembled for the office or daycare setting. Comes in a .4 liter plastic container. If you are using this medical kit for Daycare you will have to add the additional items needed for your state licensure requirements. 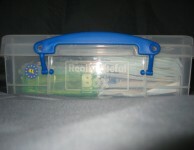 This bag is loaded with many necessary medical supplies. View our full line of professional medical bags, medical totes, and medical kits. 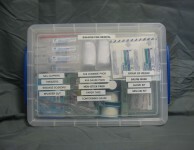 Click on a medical bag to view the medical supplies included in that medical bag, and to place an order.